Same chips, same manufacturers as Vegas. 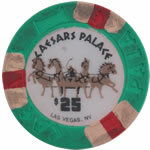 Le Paulson Noir - same chips (same manufacturer) as the Mandalay Bay, the Aladdin, and many other casinos in Las Vegas. 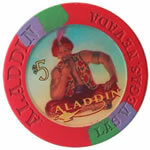 Protege - same chips (same manufacturer) as the Mandalay Bay, the Aladdin, and many other casinos in Las Vegas. See full Protege Clay Chip line. 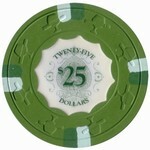 Archetype - same chips (same manufacturer) as the Excalibur, the Luxor, and many other casinos in Las Vegas. 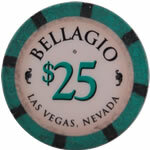 See full Archetype Casino Chip line.